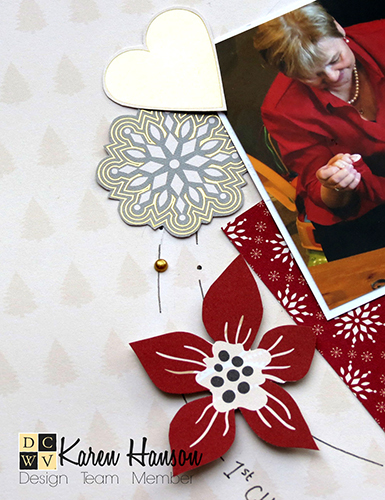 Hi everyone, It’s Social media Design team member Karen and I am here to share a little Christmas layout with you today! 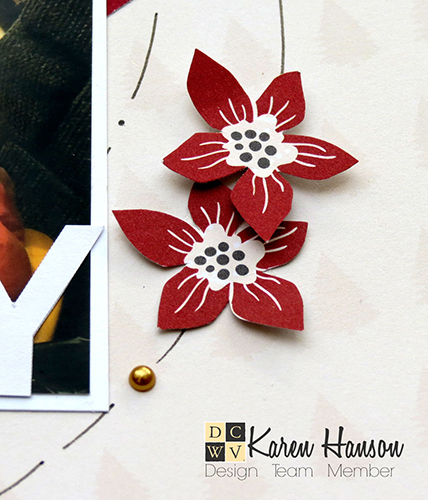 …kind of like this new Christmas stack from DCWV called Cranberry Christmas. This one, upon inspection, is a stunner! It’s true that it isn’t the traditional red, green and white colour scheme, but this one will keep you crafting for the whole winter season. 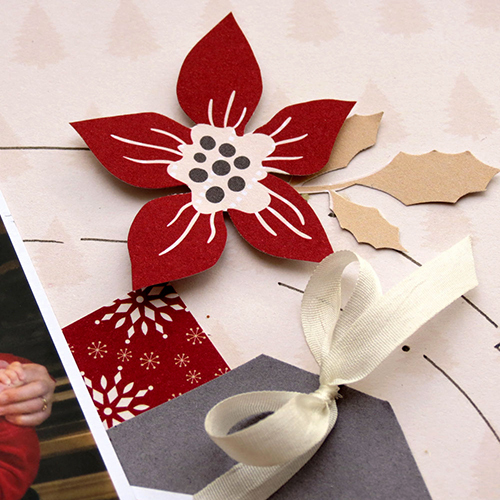 My favourite part – all the small graphics that are perfect for fussy cutting! While I used them on my layout to add some definition and dimension to the circles, think about how cute they would be layered on a card! Hmmm, with that, I think I am off to make some cards! Thanks for stopping by!